When we first arrived at the KEEN factory in Portland, my fellow media tour participants and I were greeted with this sweet little video. After some presentations, our group split into several smaller groups as we headed for the fully in-operation factory floor. Keen Utility takes their products extremely seriously, from the pre-built components that arrive daily, to the assembly and quality checks that occur for every single pair, every step of the way. 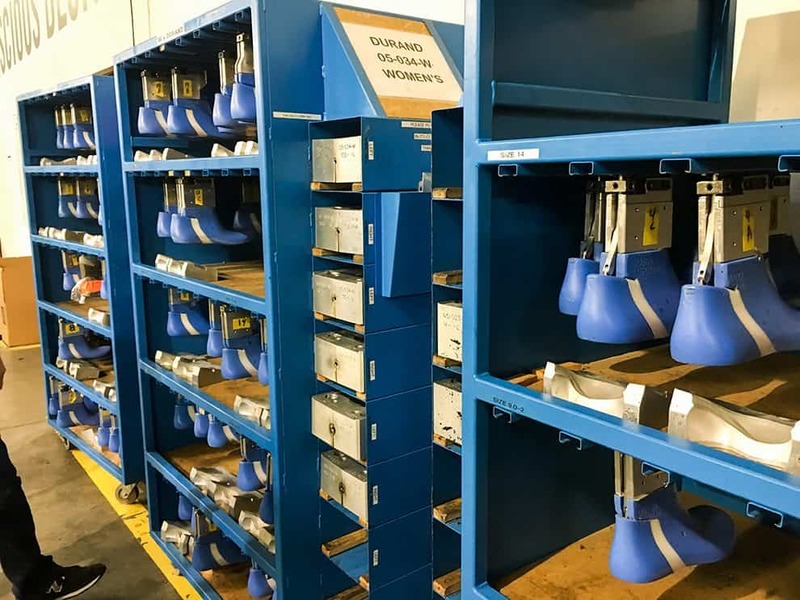 We experienced first hand the care and passion for their products that the team members exhibited — no item went untouched, no shoe was just “good enough” — it all needed to exceed the standards, or it wouldn’t be shipped out. 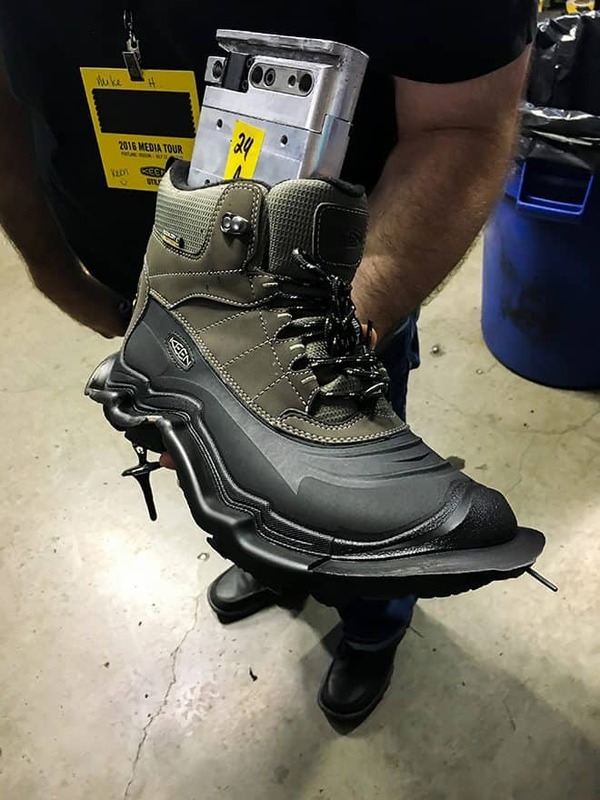 Right as I felt like I had a really good grasp on the culture at Keen Utility’s factory operations, I was then paired up with Bobby From The Video himself, and under his tutelage, I helped him construct about eight pairs of boots. Bobby’s enthusiasm and expertise were immediately apparent — he wasn’t just some mouthpiece for their marketing campaign, but a truly knowledgeable, dedicated, and appreciative employee and partner. 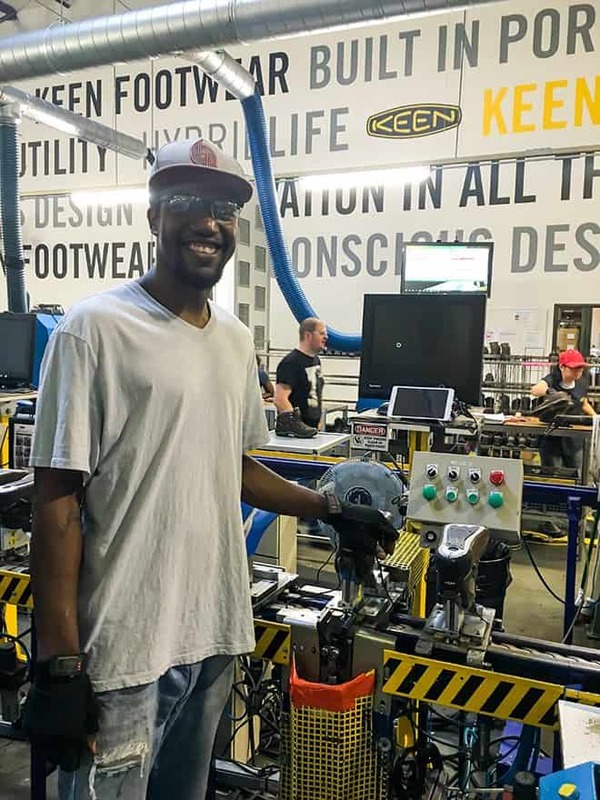 What I thought I understood about the way KEEN does business not just on the retail end, but in the factory in the manufacturing aspect, was blown away by my brief moments on the factory floor. Any DIYer knows the pride of completing a project, of making a tangible contribution — I was able to feel that tingling pride Bobby spoke about in the video, standing right next to him as we chatted about our children and work-life balance and he very patiently helped me through the steps of his station. 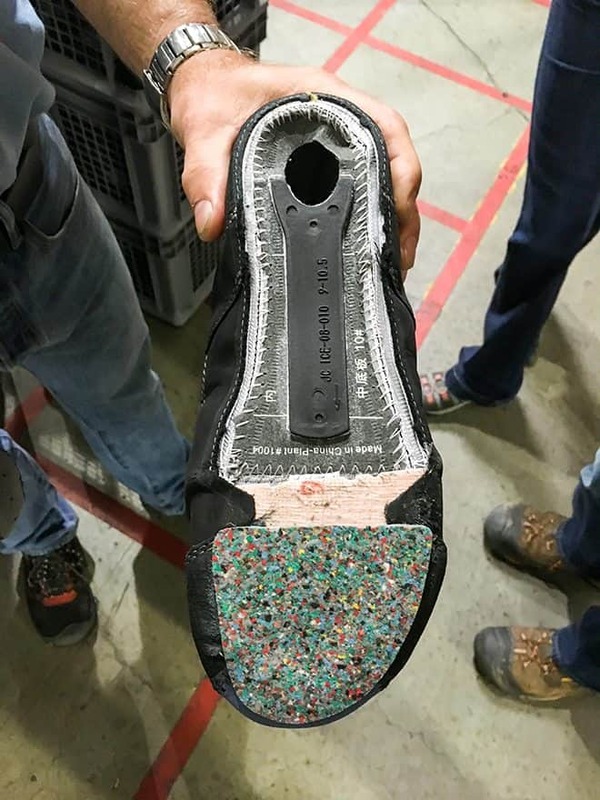 I had the same experience again, as I was allowed to trim the excess sole coating from yet another pair of shoes — no one judged me or patronized me for my obvious lack of skill at these tasks, but they were truly kind and patient and encouraging in a way that best illustrated the kind of workforce KEEN employs — invested people who are truly proud of the work they do, for the company they do, in the place that they do. And truth be told, I honestly (and slightly proudly) spot KEENs in the wild all the time now, too. Later this week I’ll go over the rigorous testing process every new idea and every existing line of shoes routinely undergo to ensure the highest quality products are on the market.